Dr. Jim Walsh is a Senior Research Associate at the Massachusetts Institute of Technology's Security Studies Program (SSP). 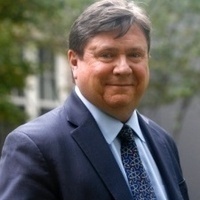 Dr. Walsh's research and writings focus on international security, and in particular, topics involving nuclear weapons, the Middle East, and East Asia. Dr. Walsh has testified before the United States Senate and House of Representatives on issues of nuclear terrorism, Iran, and North Korea. He is one of a handful of Americans who has traveled to both Iran and North Korea for talks with officials about nuclear issues. His recent publications include “Stopping North Korea, Inc.: Sanctions Effectiveness and Unintended Consequences” and “Rivals, Adversaries, and Partners: Iran and Iraq in the Middle East” in Iran and Its Neighbors. He is the international security contributor to the NPR program “Here and Now,” and his comments and analysis have appeared in the New York Times, the New York Review of Books, Washington Post, Wall Street Journal, ABC, CBS, NBC, Fox, and numerous other national and international media outlets. Before coming to MIT, Dr. Walsh was Executive Director of the Managing the Atom project at Harvard University’s John F. Kennedy School of Government and a visiting scholar at the Center for Global Security Research at Lawrence Livermore National Laboratory. He has taught at both Harvard University and MIT. Dr. Walsh received his Ph.D from the Massachusetts Institute of Technology.